The Style Icon Fashion Fair, a photo by Alliana Petunia on Flickr. 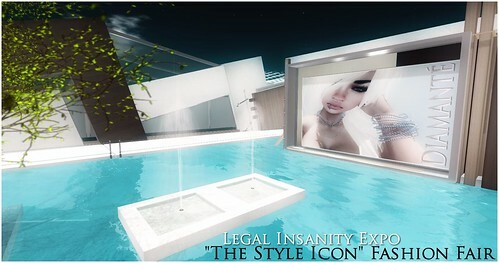 Legal Insanity invites you to celebrate legendary style icons from the past to the present by visiting "The Style Icon" Fashion Fair. We challenged Second Life's most celebrated designers to create a collection inspired by those who have made a mark in their lives, who have inspired them and shaped their fashion style. Pick up exclusive items inspired by as diverse Style Icons as Vivienne Westwood, Jean Harlow, Sophia Loren & Jim Morrison all in one beautiful sim.